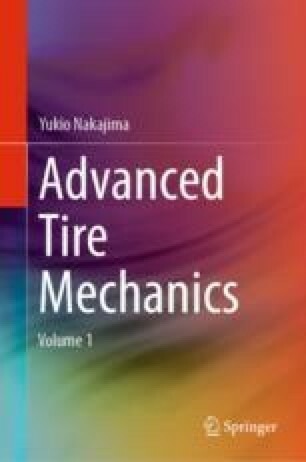 The phenomenon of standing waves in tires occurs in the sidewall and tire tread area when the vehicle speed exceeds a critical speed. 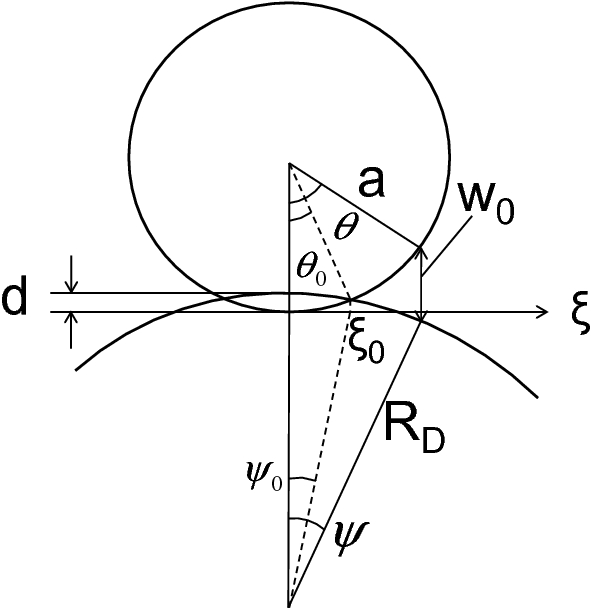 Two approaches can be adopted in the study of standing waves: the analytical approach and FEA. The analytical approach, such as the adoption of a membrane model or elastic ring model, is further classified into the wave propagation approach and resonance approach. This chapter discusses the analytical approach and FEA for standing waves. are thus satisfied for the time derivatives in each coordinate system. The second terms in the above equations are related to the Coriolis force, and the contributions of the second terms are smaller than those of the first and third terms.